The New York Giants already have a stellar wide receiver corps with Odell Beckham Jr., Brandon Marshall, Sterling Shepard, and Evan Engram. We can look back and reminisce on the dropped passes Marshall endured in 2017, but would that help us succeed in the end? Probably not. Marshall has had tremendous success in his career, and his finest days might be behind him, but that doesn’t mean he can’t still be an integral part of the offense. The question is: Is he better or worse than Dez Bryant? Personally, I don’t want anything to do with Bryant and his arrogant ways, but at this point in his career, he could very well be far superior to Marshall. The Giants would ultimately save about $5 million if they cut Marshall, but signing Bryant might run them even more. 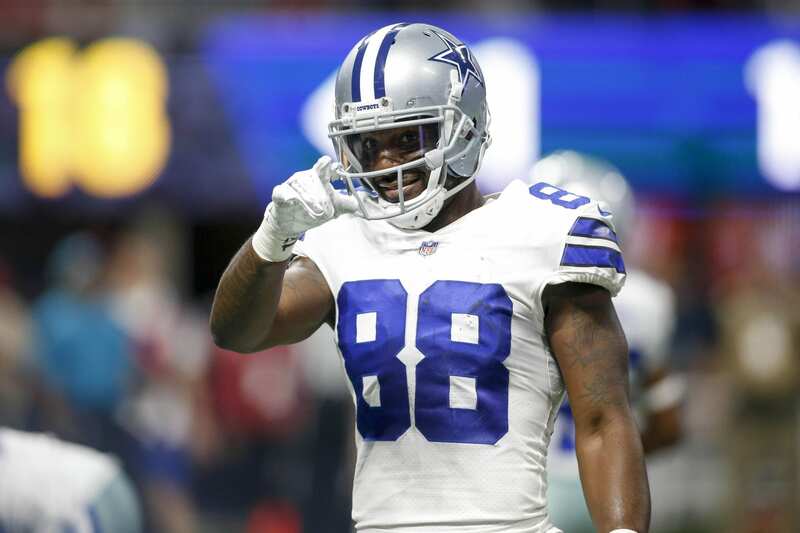 Besides Beckham Jr. advocating for Dez to come to New York, there’s another Giant surprisingly trying to sway the organization to take a flier on the 29 year-old wide receiver. Hmmm, Jenkins, the cornerback that held Bryant to just two catches for 18 total yards and a fumble in 2016 is trying to bring him to the Giants. Considering their past beef on and off the field, this one caught me by surprise. Big Blue has only $4.8 million in cap space left in 2018, with $5 million needed to sign the incoming draft picks and additional money to bring in players during the season, this potential signing seems far-fetched. Marshall would add another $5 million to that cap number if cut, but he won’t be eligible for release until passing a physical after undergoing ankle surgery last season. The bottom line, Bryant is a long-shot to join a revitalized Giants team, but in this day and age, never say never. The best days are not behind Marshall, they have just peaked. Two, we need a voice and veteran voice at that, whom can direct the younger players to walk in the correct direction. In my opinion, being a hugh Victor Cruz fan, he was cut because he did not hold the WR group from going the the beach when they reached the playoff. The same goes with Marshall, I believe the Giants did not only brought him to the the as a great player but to lead the WR group. A job seemly difficult to image from Dez to produce looking to his past. Coming off ankle surgery certainly doesn’t help Marshall right now. Stay far away, Dez. We don’t want you or need you! You couldn’t create separation from my grandmother!